homes are built each year in North America using outdated construction methods that generate waste and cannot meet the wave of regulation changes mandating Net Zero Energy buildings. of builders reported labor shortages in 2017, according to the NAHB (National Association of Home Builders), with framing crews and carpenters topping the list year after year. of clients recognize insulation higher than required by code and high performance windows as essential features of a home. BONE Structure® has developed and patented a Net Zero Energy ready construction system and has built hundreds of high performance homes in North America during the last 10 years. Working with a network of manufacturing partners, BONE Structure provides a structural steel frame and insulation system to real estate developers, builders and homeowners who want to build beautiful, Net Zero Energy homes. BONE Structure offers a simple process and integrated professional services, all under one roof. This vertical integration is made possible by the aerospace precision and BIM technology behind our homes, and creates an unmatched customer experience and offering: the luxurious lifestyle that fuels our brand. With energy savings of up 90% on heating and cooling over traditional wood framing, BONE Structure® is ideally suited to reach and surpass many green building standards. Mechanical systems are easy to incorporate without affecting the thermal integrity of the structure, from solar roof panels to energy storage and HVAC solutions. All BONE Structure components are shipped flat-packed and assembled on site with minimal disruption to the environment, requiring no heavy machinery or specialized tools. Maximize lot potential and build on difficult terrains with ease by showcasing the architectural benefits and structural advantages of the BONE Structure construction system. BONE Structure homes are easy to assemble by local labor. Requiring very few tools and training, your existing team will love the precision and efficiency of our building system. 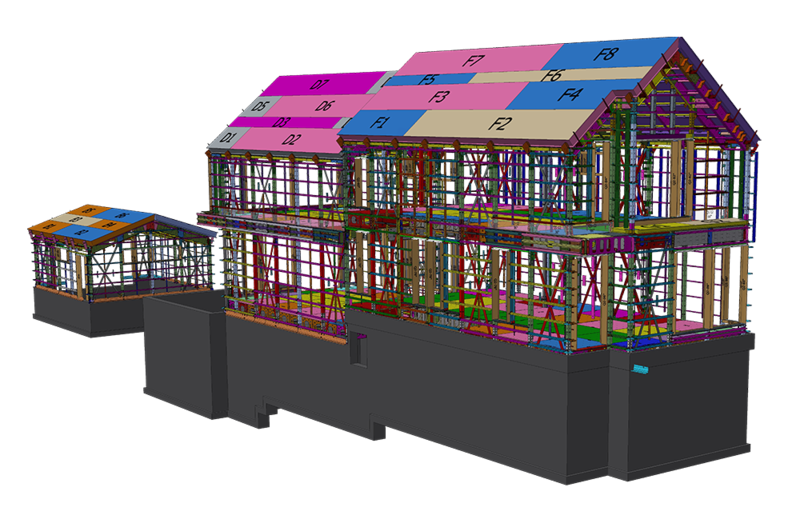 From design and planning to engineering and structural services: we offer it all in-house. Our team runs smoothly and efficiently, no matter the scale of the project or complexity of design. Patented structural steel frame and insulation system for high performance and energy efficient custom homes. A Net Zero Energy Home is an energy-efficient building whose annual energy consumption is less than or equal to the renewable energy produced on-site. Waste is minimized on the construction site. Manufacturing is ubiquitous and flexible. Materials used are a commodity. Work with local builders and local labor. Not reliant on skilled labor. System developed to be understood by anyone, anywhere. Don’t waste time, materials or energy! BONE Structure’s integrated process accelerates the construction and sales cycle, bringing your development to market with speed. Take advantage of the ability to build quickly regardless of the number of units: with manufacturing partners across North America, our production capacity is scalable. Enjoy the freedom to work with your current builder, or make use of BONE Structure’s network of trained and experienced builders and collaborators: the choice is yours. A true and strong structure, supervised by our site experts, ensures consistency and peace of mind throughout all projects, delivering quality and efficiency from beginning to end. Establish your development firmly at the intersection of energy efficiency and high-end design by leveraging the architectural benefits of the BONE Structure system. 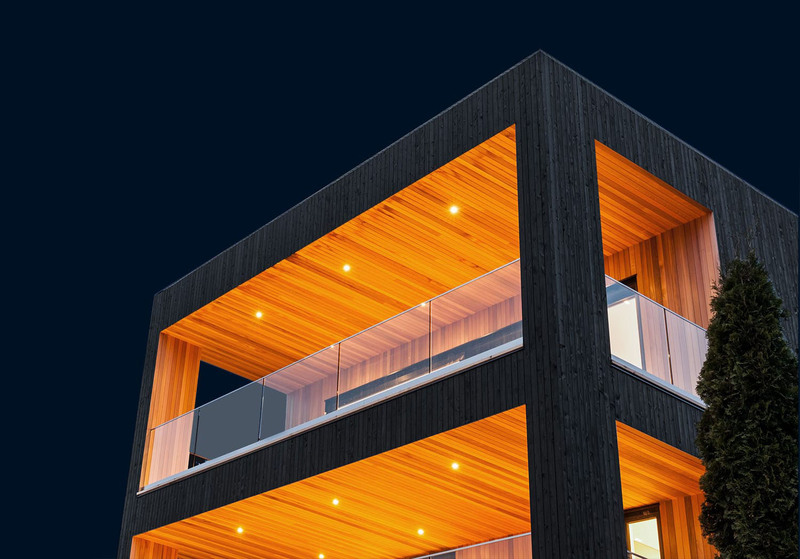 You can now offer your clients a Net Zero solution without sacrificing design or luxury, using a construction system that has been tried and proven all across North America. By adopting BONE Structure’s industrial approach to home assembly, you will rely on the same continuous improvement and innovation processes that have established our consumer brand, so you can price accurately, deliver quickly, and simplify procurement. From improved quality control to an integrated supply chain, take advantage of the inherent advantages our construction system has to offer. A BONE Structure work site will help you reduce waste to a minimum (materials, time & labor) and creates a safer working environment for your workers. Take the simple path to energy efficiency: enjoy the ability to quickly integrate the latest green technologies and rely on our team of experts for the information you require. Our Net Zero Ready thermal envelope is the ideal starting point. Showcase your project on BONE Living, our exclusive real estate platform. Bringing together new developments, unique lots and incomparable homes, BONE Living demonstrates the possibilities and creativity of the BONE Structure building system. The luxurious lifestyle offered by BONE Structure is expressed by a strong, well-established North-American brand with omni-channel reach. With a complete marketing and sales platform in place and the full support of the experienced BONE Structure teams, your project will enjoy immediate visibility. So take advantage of our in-house marketing and sales services and hit the ground running: from a strong web presence and lead management to communications, on-site signage and sales documentation. 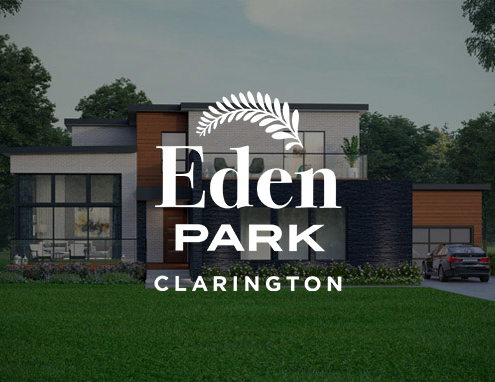 Eden Park is a community of luxurious modern homes built on uncommonly spacious lots starting at 3/4 acres, just north of the 401 in the gorgeous municipality of Clarington, Ontario. Eden Park redefines the family home by creating luxurious, highly functional modern residences with a premium on size. Discover a place where the cares of the world are softened by the wind that blows through the trees on the fairway and washed away by the waves on Peninsula Lake: all the magic of Muskoka, the storied century long history of Deerhurst, the rugged Canadian Shield setting of granite and pine and the sight of wildlife in the woods. 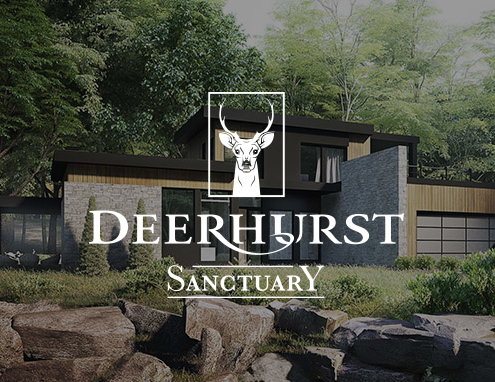 It’s all here and it can all be yours if you choose to own, and make Deerhurst your own. A sustainable, integrated, and unique community carved from an untouched mountain. 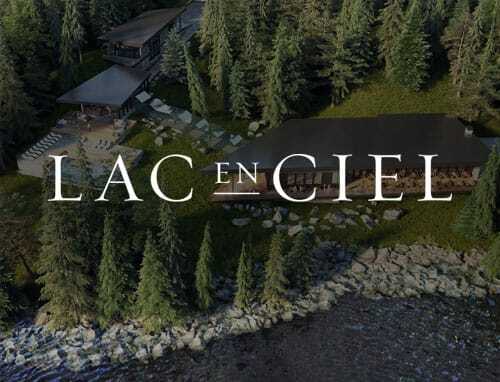 Lac en Ciel is situated just a 10-minute drive from Mont Tremblant, the world-class ski resort and 4-season recreational and entertainment destination in the majestic Laurentians. 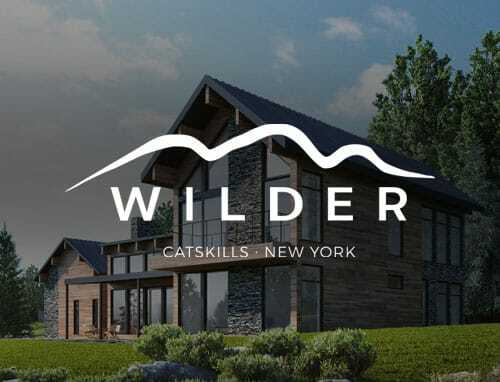 Nestled in the Northern Catskill Mountains, the Wilder development is situated in the town of Windham, New York. Revel in the natural setting and savor the adventure, local flavors, and culture of the region! In a new wave of luxury, fourteen sophisticated, highly efficient properties are designed to incorporate their natural setting. Let’s build together! Contact us. We welcome the opportunity to collaborate with builders and contractors all over North America. Do you have a project that would benefit from using BONE Structure technology? Contact us today and let’s build together.